This is the perfect bag or purse to take to the beach, to work, to school, or to go shopping. It’s not only roomy, but it’s got style too! 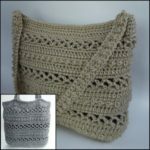 Crochet this bag for yourself or give it as a gift. And even better, you can use it as a gift bag that will keep on giving. 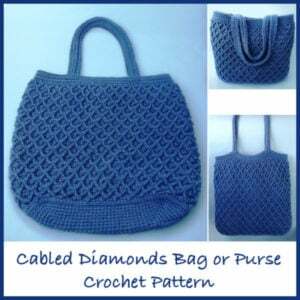 If using it as a purse or a bag for heavier items then you might want to line it with a non-stretch material. You can find a free photo tutorial for that here: How to Line a Crocheted Bag. Gauge: 2″ over 8 sc sts. Finished Size: When laying flat it measures 14″ from top to bottom and 14.5″ across. Depth measures 4.5″. 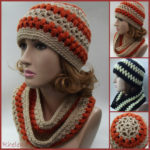 The pattern comes in a 4-Page PDF File along with a 4-Page photo tutorial to help with the cabled stitches. 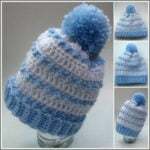 As with all my patterns, this pattern is written in U.S. Crochet Terms. And you may sell anything you make from it as long as you do not share or re-sell the pattern with anyone. Here is the link to the free version.